Born in Burbank, Calif., Moran was 5 when her parents signed her up with a child talent agent, said The Times (U.K.). “She was soon playing Jenny Jones, an orphan, in Daktari, a TV series about a U.S. veterinarian in Africa.” In 1968, she made her big-screen debut alongside Debbie Reynolds in How Sweet It Is. On Happy Days, producers pressured Moran to stay in shape. Ahead of her 15th birthday, they began putting her in skimpy clothing and gave her a love interest, Chachi Arcola, played by Scott Baio. 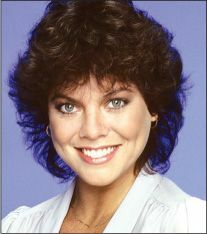 In 1982, Moran and Baio “were given their own show, Joanie Loves Chachi,” said The New York Times. But the spinoff was “widely panned,” lasting only 17 episodes. The pair rejoined Happy Days for its final season, which ended after Joanie and Chachi married.